TOC reporter investigates the new steel shafts with which the HDB is constructing new lifts and shows you what you are paying for in the Lift Upgrading Programme (LUP). HDB’s cost-saving measures for new lifts is a matter of concern – in terms of safety and long-term maintenance costs – for residents. Who will pay, ultimately? According to a Parliament report, HDB has switched to using only steel lift shafts for its Lift Upgrading Programme since March 2007. MP for Sembawang GRC, Dr Lim Wee Kiak, had asked the Minister for National Development (MND) for clarification on the designs and the differences in construction cost for each of the designs. To this end, we have switched from the use of conventional concrete to lighter materials such as ferroconcrete and steel in the construction of new lift shafts. Mr Mah explained that the cost of a ferroconcrete lift shaft in a typical 11-storey LUP block is about $386,000 (1) each. The cost of a steel lift shaft is about $350,000 each. This is about 6%-15% lower than the cost of a conventional concrete lift shaft, estimated to be around $410,000. 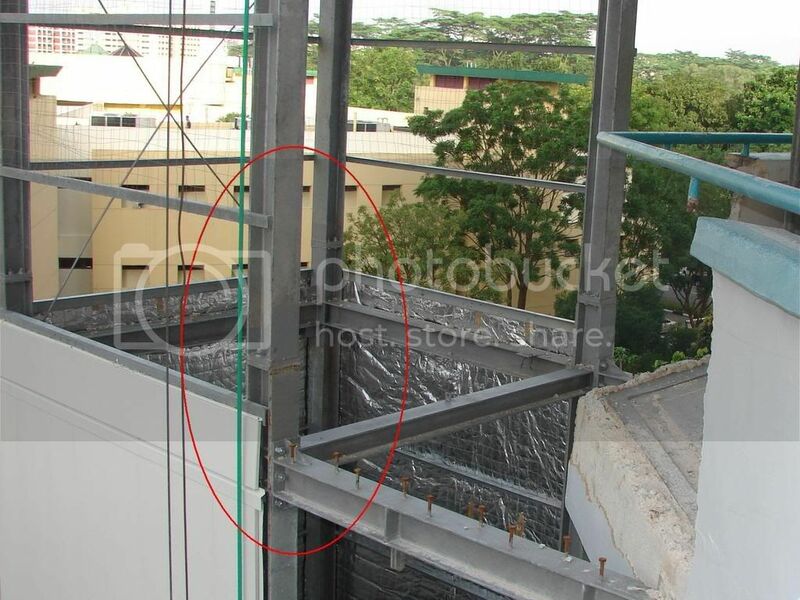 Since the steel lift shaft is cheaper than ferroconcrete lift shafts, HDB has used only steel lift shafts for its LUP works since March 2007. In another Parliament session in Nov 2008, in reply to the same MP, Mr Mah said that both steel and ferroconcrete lift shafts are comparable in their performance as hoistways for lifts. They can be prefabricated and then assembled on site, hence speeding up the construction period and minimising inconvenience to residents. 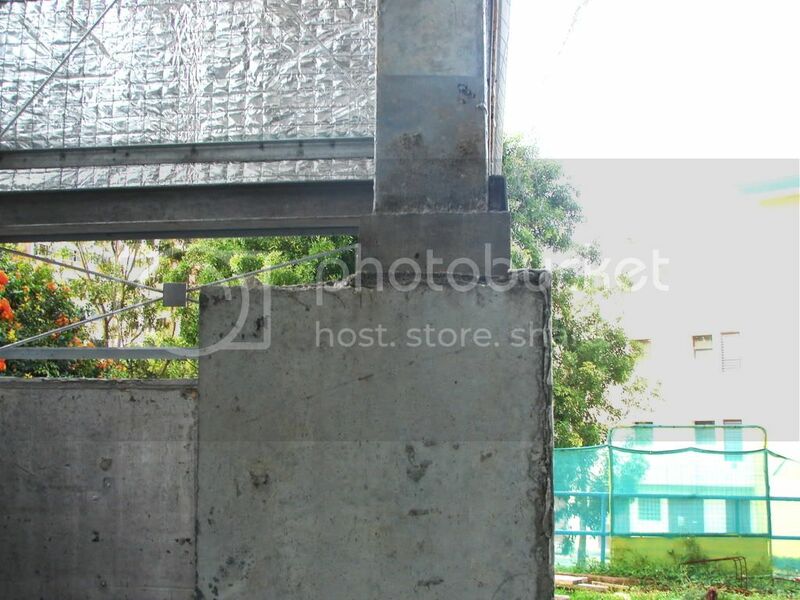 They are also lighter in weight compared to conventional concrete lift shafts, thus reducing the amount of new foundation required and the total cost of construction. Mr Mah’s reply mainly focused on the primary function of the lift shaft and the main emphasis was on cost saving. He did not really answer any concerns about the disadvantages between the use of steel lift shafts compared to ferroconcrete lift shafts. This is a good example of the potential disadvantages between the use of steel and ferroconcrete and the maintenance cost issue Mr Mah which did not address. 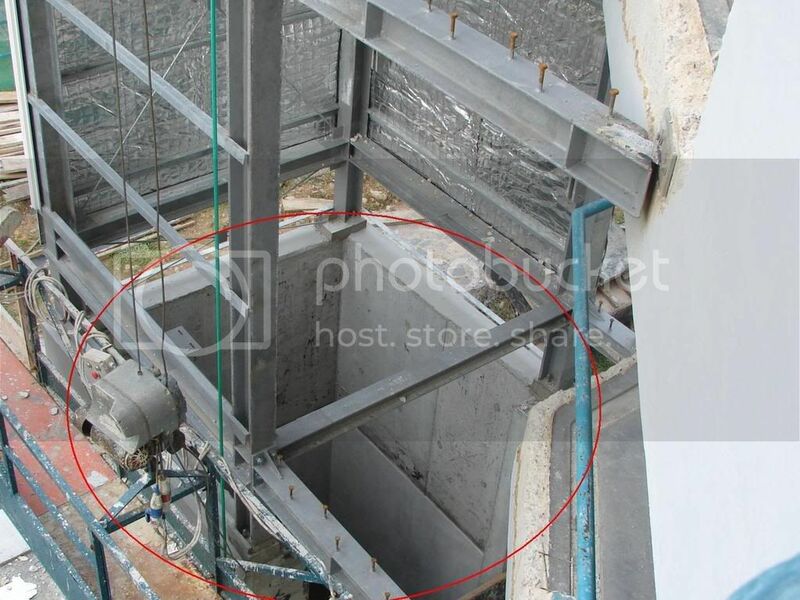 Let us take a closer look at how some metal lift shafts are constructed and understand what potential maintenance issues Town Councils and residents may face. 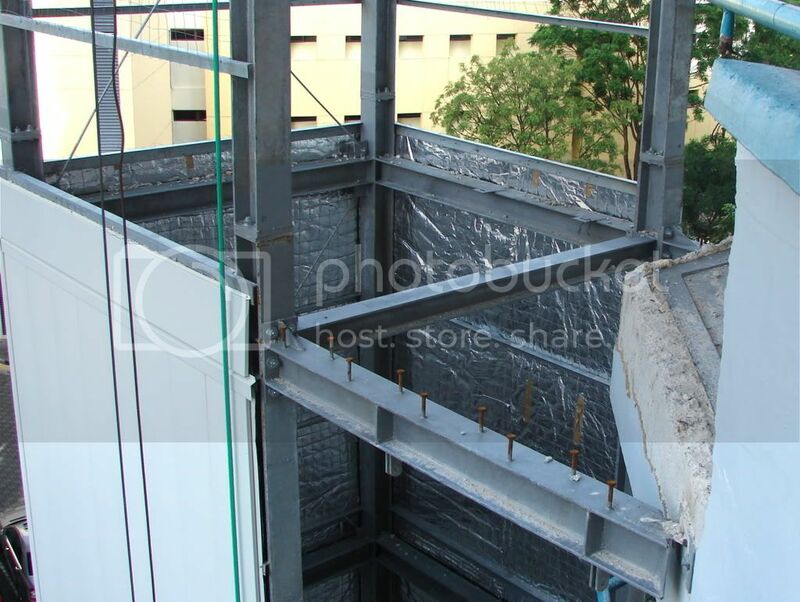 A lift shaft has a concrete foundation at the ground level with steel “I” beams bolted on top to form the structural framework. Steel “I” beams extend upward to form the shaft’s structural framework. 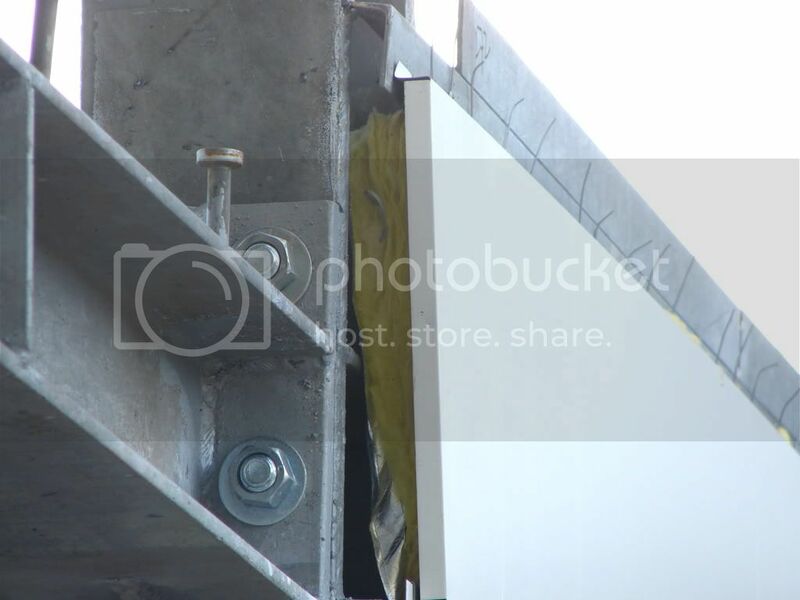 This concrete and steel framework is structurally sound and there is no reason to be concerned about it. 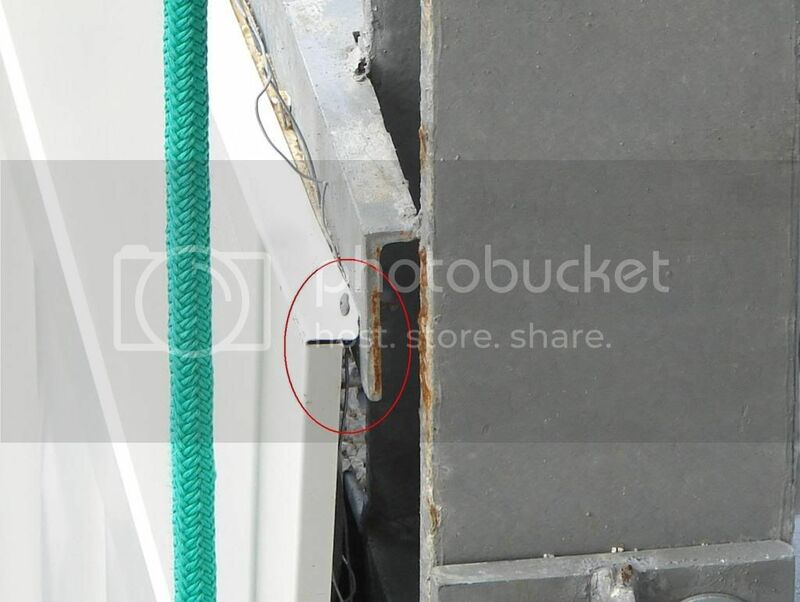 The maintenance concern arises from the materials used to form the wall of the lift shaft. 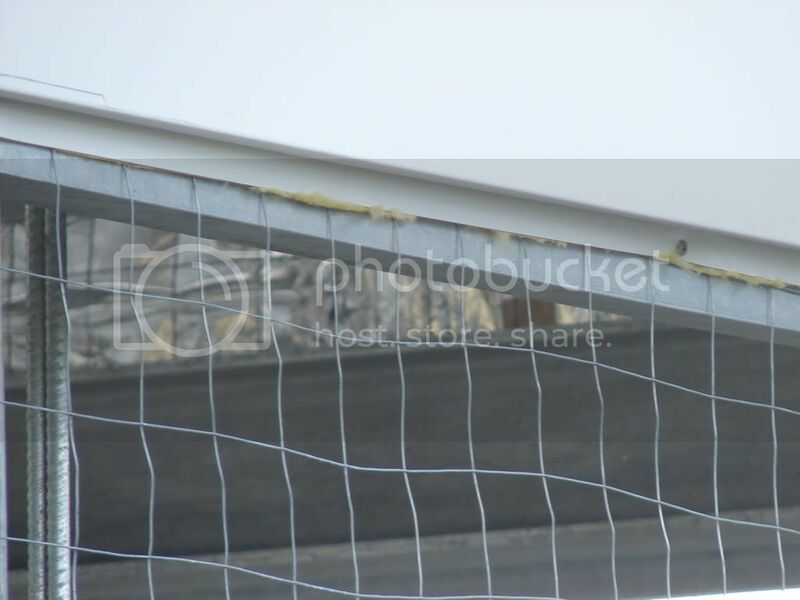 In one particular project, the wall is made of a layer of metal wire mesh, a layer of insulation material and a layer of metal panel. 1. 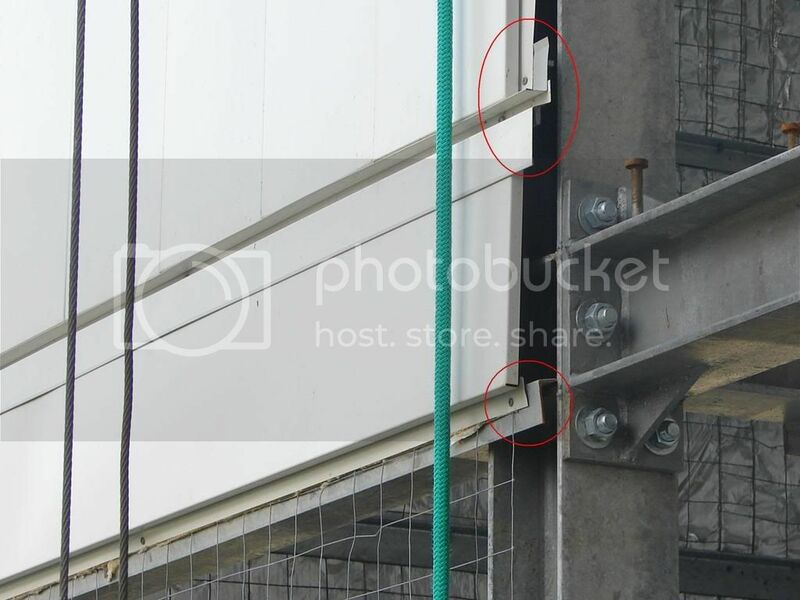 Corrosion of the metal wire mesh and screws fastening the metal panels to the framework. 2. 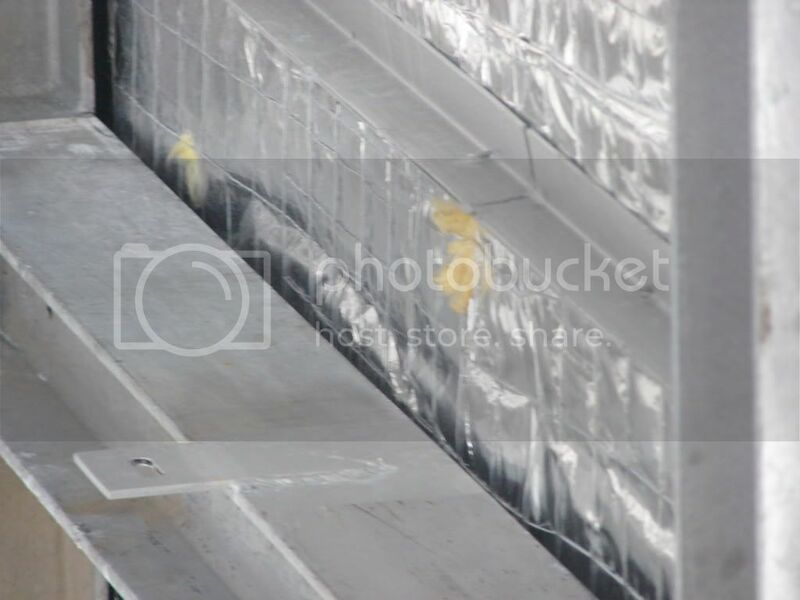 Water leaking into lift shaft due to hardening of the sealing material between connecting metal panels. Such issues may only surface 10, 15 or 20 years from now. 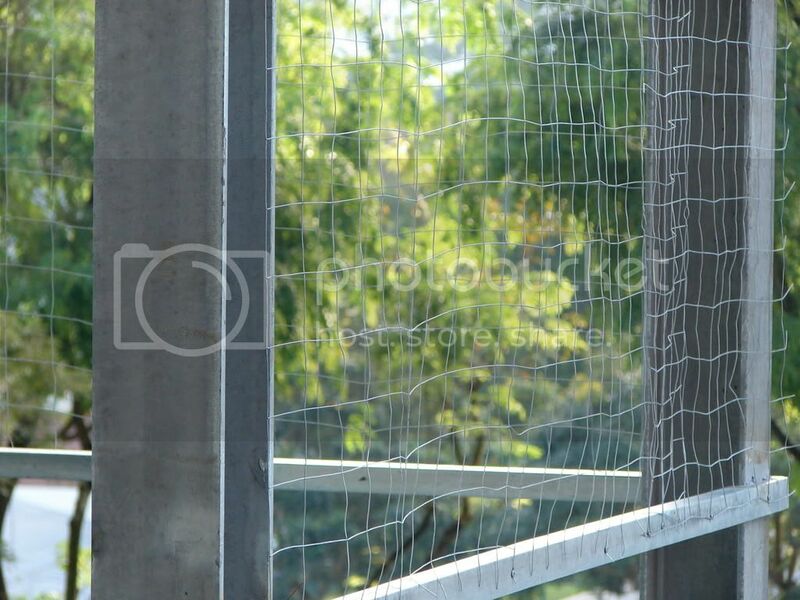 The steel lift shafts are $36,000 cheaper than the ferroconcrete lift shafts to construct. 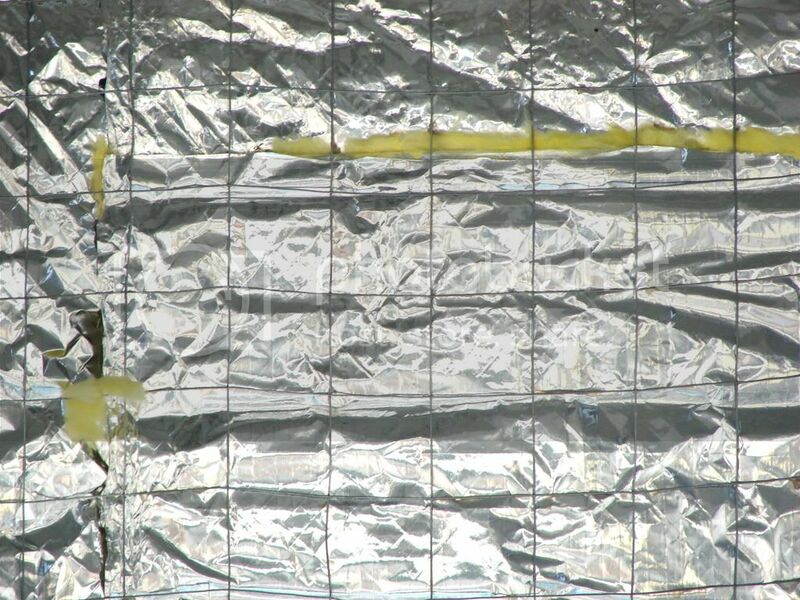 But this construction method may have both maintenance and costs issues in the long run. 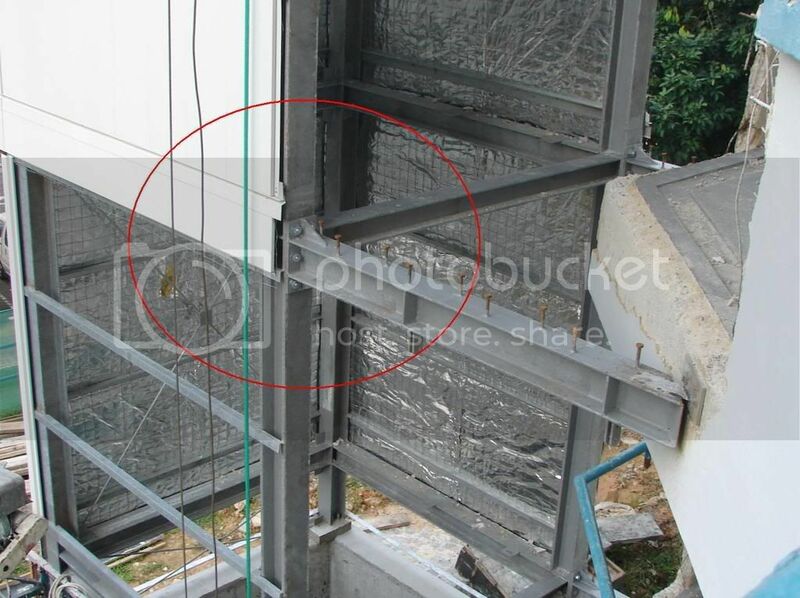 Did HDB study these before deciding to use the steel lift shaft design? 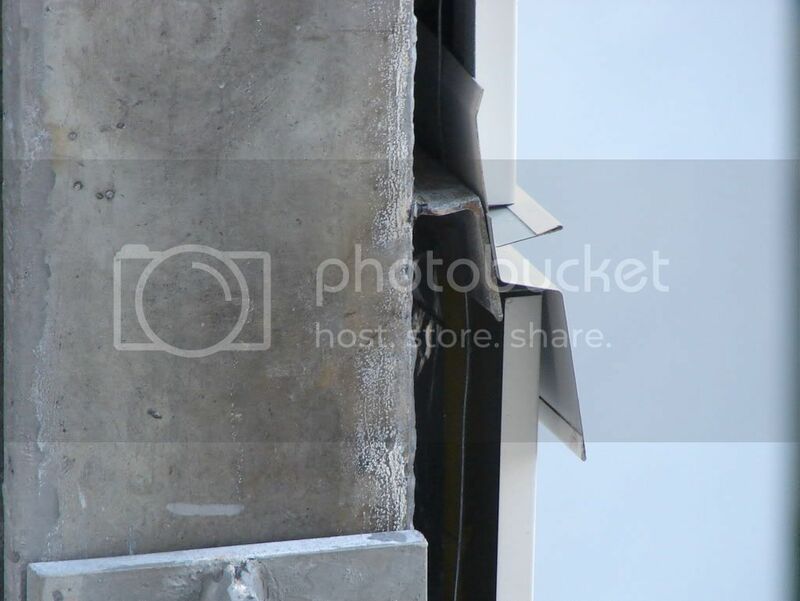 Will the steel shaft “wall structure” bear higher maintenance risk over other options like ferroconcrete lift shafts? 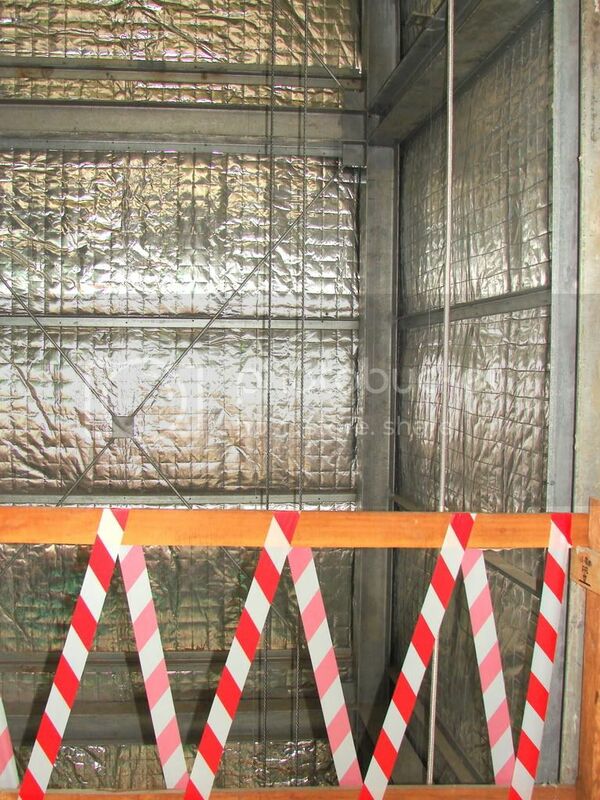 How are town councils going to inspect these lift shafts for potential issues and ensure public safety?